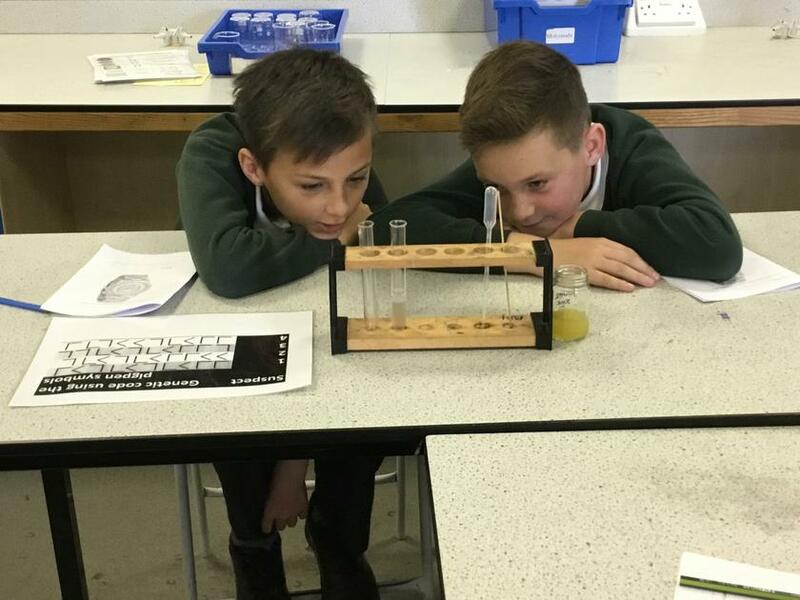 At East Bergholt Primary School, we believe Science should, first and foremost, be a means of gaining a better knowledge and understanding of the world around us. This knowledge is most valuable and enlightening when it has been gained through good quality scientific experimentation. 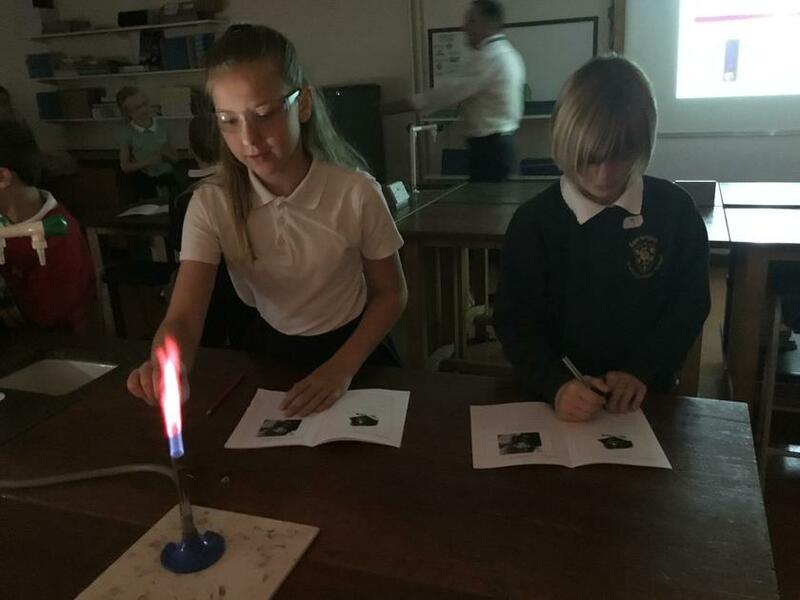 Therefore, the children’s experience of science within school should largely be based around providing them with opportunities to ask questions, investigate and draw conclusions based upon evidence. • Identify, classify and describe their basic structure. • Observe and describe growth and conditions for growth. • Look at the suitability of environments and at food chains. • Identify, classify and observe. • Look at growth, basic needs, exercise, food and hygiene. transportation in plants, life cycles and seed dispersal. • Look at resemblance in offspring. • Look at changes in animals over time. • Look at adaptation to environments. • Look at differences in offspring. • Look at adaptation and evolution. • Look at changes to the human skeleton over time. skeleton system of humans and animals. • Look at the digestive system in humans. • Look at the human circulatory system. • Look at classification keys. • Look at the life cycle of animals and plants. • Look at classification of plants, animals and micro organisms. • Look at reproduction in plants and animals, and human growth and changes. • Look at the effect of diet, exercise and drugs. • Look at the practical uses of everyday materials. • Compare and group rocks and describe the formation of fossils. • Look at solids, liquids and gases, changes of state, evaporation, condensation and the water cycle. • Examine the properties of materials using various tests. • Look at solubility and recovering dissolved substances. • Examine changes to materials that create new materials that are usually not reversible. • Look at sources and reflections. • Look at appliances and circuits. • Look at sources, seeing, reflections and shadows. • Explain how light appears to travel in straight lines and how this affects seeing and shadows. • Look at sources, vibration, volume and pitch. • Look at appliances, circuits, lamps, switches, insulators and conductors. • Look at circuits, the effect of the voltage in cells and the resistance and conductivity of materials. • Look at contact and distant forces, attraction and repulsion, comparing and grouping materials. • Look at poles, attraction and repulsion. • Look at the effect of gravity and drag forces. • Look at transference of forces in gears, pulleys, levers and springs. Kitchen Science...Make use of your very own home laboratory! Here are a selection of experiments that you can try at home using everyday materials. 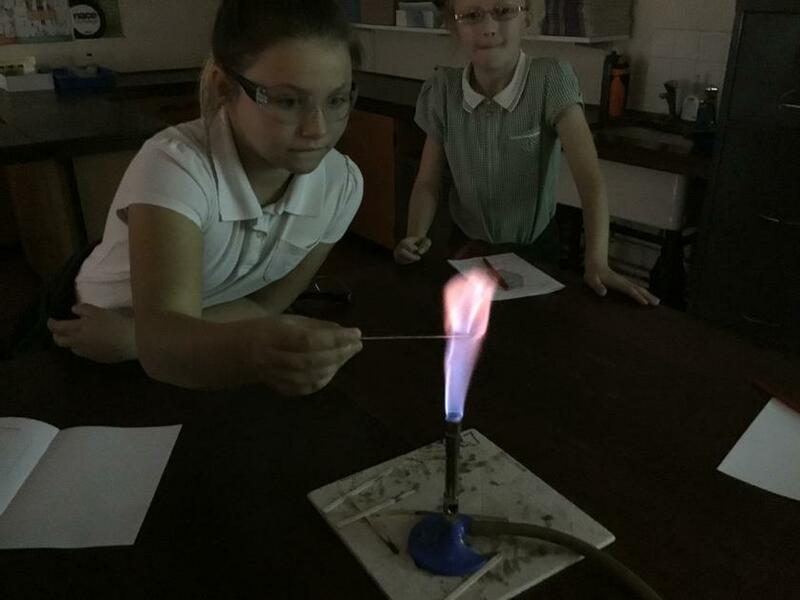 High School Science Day (October 2018).